Designed at the Royal Aircraft Factory at Farnborough by H P Folland, Goodden, and Kenworthy at Farnborough in 1916, the prototype flew on 22 November 1916 but was lost one month later following collapse of its wings. After the design had been strengthened, the S.E.5 soon acquired a reputation for sturdiness. The first production aircraft had the 150hp Hispano-Suiza fitted and were designated SE5. a single-seat biplane 'fighting scout'. 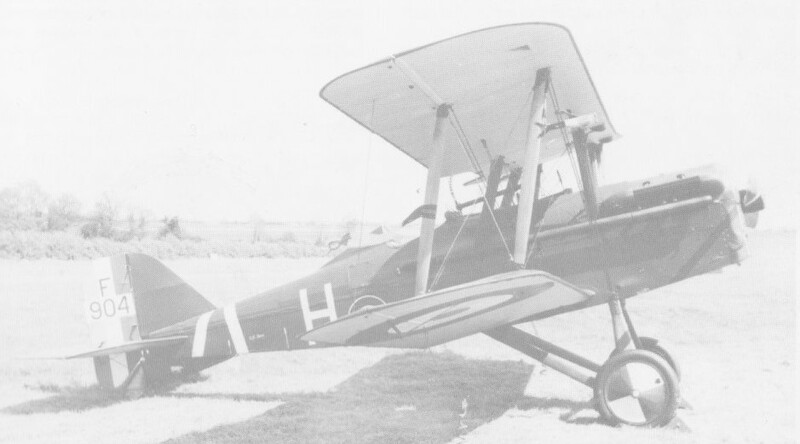 The later SE5a had the 200 or 220hp Hispani-Suiza or 200hp Wolseley Viper engine. It could climb to 10,000 feet in 11 minutes 20 seconds and it had a service ceiling of 20,000 feet. The Viper version had a maximum speed at sea level of 138 mph. Armament was a single fixed .303in Vickers machine-gun, firing through the propeller and/or one .303in Lewis gun with four 97 round ammunition drums mounted over the wing. Four 25 lb Cooper bombs could be carried under the fuselage. In 1918 one experimental SE.5b, modified from an S.E.5, was built. The third prototype of the S.E.5 flew at Farnborough on 12 January 1917 powered by a 200hp geared Hispano-Suiza 8B water-cooled eight-cylinder V-type engine, but otherwise similar to the 150hp-engined earlier prototypes. While production deliveries of the 200hp engine were awaited, airframe modifications were introduced in the light of early experience with the first production batch of S.E.5s. In particular, the wing rear spars were shortened at the tips to provide greater strength, this serving to blunt the previously raked tips and reduce overall span by 39.4cm. At the same time, lateral control was improved by shortening the levers on the ailerons. With a small Avro-type windscreen in place of the S.E.5's voluminous structure, a small fabric-covered head fairing behind the cockpit, the blunt wings and the standard Vickers + Lewis gun armament, the version with 200hp engine became the subject of large-scale production as the S.E.5a, starting with part of the second batch S.E.5s already ordered from the RAF. Two hundred more were built at Farnborough itself and, in addition, by the time the war came to an end in November 1918, some 5125 S.E.5a's had been built by five companies in less than 18 months: Austin (1,550), Bleriot & Spad (560), Martinsyde (400), Vickers (2,215) and Wolseley (400). Production of the 200hp Hispano (in several sub-variants, and including licence-production by Wolseley as the W.4B Adder I, II and III) failed to keep pace with this prodigious output, and numerous operational difficulties with the engine enhanced the problem. Consequently, many S.E.5a's were fitted (without change of designation) with the 200hp direct-drive Wolseley W.4A Viper, a derivative of the French engine. 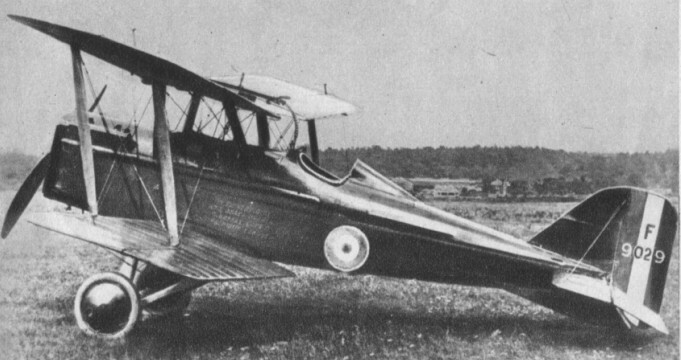 At least six S.E.5a's were flown with the 200hp Sunbeam Arab I (geared) or Arab II (direct drive) water-cooled eight-cylinder engine in trials at Farnborough, and some production aircraft received high-compression versions of the French-built Hispano-Suiza engine, increasing maximum output to 220hp. S.E.5s entered service with No. 56 Squadron in France in April 1917, and were followed by the improved S.E.5a with 200-240 hp versions of the Hispano and later the 200 hp Wolseley Viper. The higher-powered Hispanos gave persistent trouble at first, but when this was overcome the little fighter soon showed itself the master of the formidable Albatros and Pfalz scouts used by the enemy. Its standard armament comprised one Vickers gun on the engine cowling and a Lewis gun on a movable mounting above the centre -section, which enabled it to be fired upwards if required. Light bombs were often added for ground attack duties. Altogether 5205 S.E.5's and S.E.5A's were built. Twenty-two squadrons of the RFC and the US Air Service were flying the S.E.5a by the time of the Armistice, but this brought an end to planned largescale production by Curtiss in the US when only one of 1,000 on order had been completed (in addition to 56 assembled from British components). Service use continued on a small scale for only a short time after the end of the war, in Australia, Canada and South Africa as well as with the RAF. The final aircraft built at Farnborough against contracts for 74 S.E.5s placed in 1917 was used early the following year for an experimental programme aimed at improving the performance and fighting ability of the type. Fitted with a 200hp Hispano-Suiza 8B engine and armed with the Lewis and Vickers gun combination of the standard S.E.5a, it had new single-bay wings of unequal span and chord. In addition, a retractable radiator was provided in the forward fuselage, and a large, shallow, propeller spinner was fitted, to combine with a re-profiled cowling and give better streamlining of the fuselage. The head-fairing behind the cockpit was also improved. 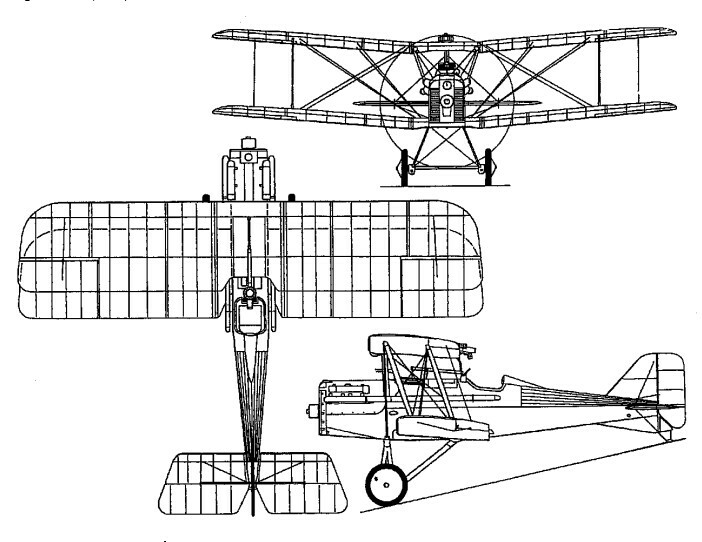 Tests in 1918 revealed little performance gain or handling benefit, with the extra drag of the big upper wing offsetting gains from the more streamlined fuselage. Standard S.E.5a wings were fitted to the S.E.5b in 1919, as well as a modified horizontal tail, for comparative testing at Martlesham Heath, and this aircraft made an appearance at the RAF Pageant at Hendon in 1920. The SE.5a was one of the outstanding fighters of the First World War. About 5,000 were produced, serving with twenty Royal Flying Corps (later Royal Air Force) squadrons over the Western Front. They also equipped the 25th and 148th Aero Squadrons of the US Air Service. Four squadrons flew the type on Home Defence duties. It was used by twenty-four squadrons of the Royal Flying Corps and Royal Air Force in France, Palestine, Macedonia, Mesopotamia and the United Kingdom, and replacing the DH5 as the equipment of the Australian 2 AFC late in 1917, and two of the United States Air Service on the Western Front. Some famous British fighter aces scored many of their victories while flying S.E.5a's, including V.C. winners Mannock (73 victories), Bishop (72), and McCudden (57). Of the five-and-a-half thousand built, 2,700 were left at the end of the war. These gradually found their way into civilian hands and are credited with having pioneered sky-writing. The basic airframe/engine price at the time was 2,067 pounds. 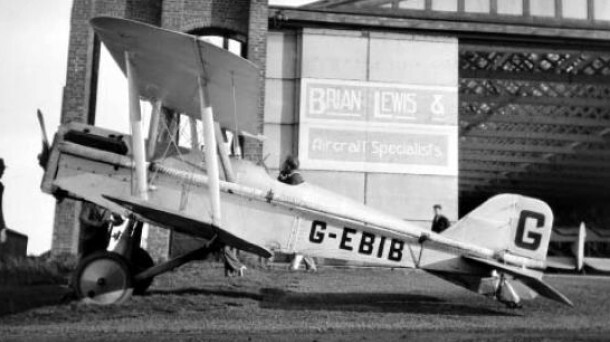 In 1922 Eberhart Aeroplane & Motor Co Inc assembled 50 British-designed S.E.5E fighters from spare parts, "E" suffix denoting company name and plywood-covered fuselage. Ceiling 17,000 ft. (5,200 m.) fully loaded.